*First Deposit Only. Min. deposit: £10. 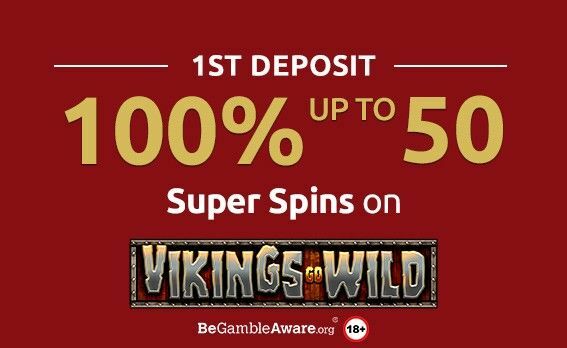 Game: Vikings Go Wild, Spin Value: £0.50, Max Super Spins: 50. WR 60x super spin winnings amount (only Slots count) within 30 days. Max bet is 10% (min £0.10) of the super spin winnings amount or £5 (lowest amount applies). Super spins must be used before deposited funds. First Deposit/Welcome Bonus can only be claimed once every 72 hours across all Casinos. Bonus Policy applies. At ClemensSpillehal there are VIP Lounge benefits for everyone.